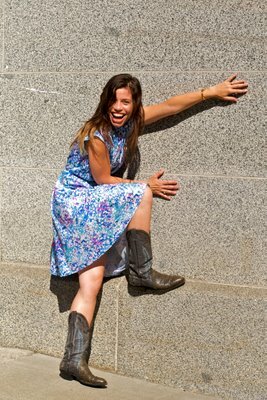 There is something great about people who have fun in front of a camera when asked to pose. I love how her dress and how well she captivates those who see her. Not surprisingly, Jessica is a dancer. If you recognize Jessica it's because she's had fun posing for my camera before. 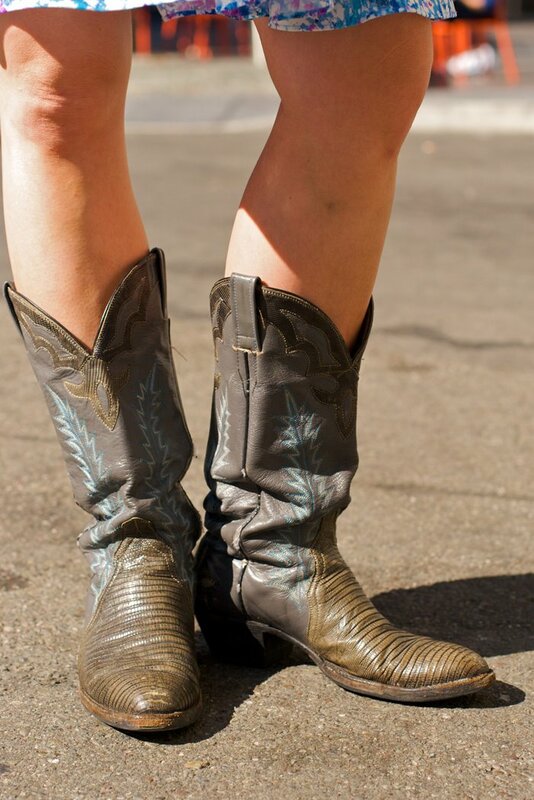 A look at her favorite boots. Awesome photos. She has charisma. She looks like loads of fun. 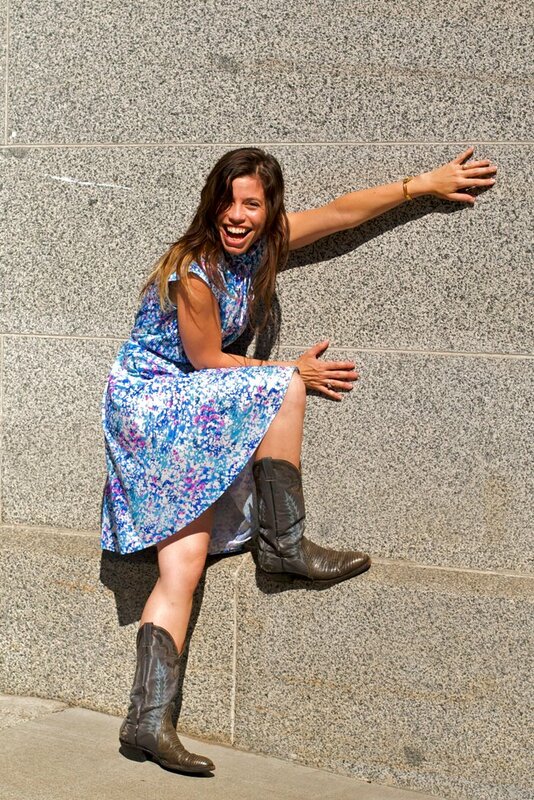 Sweet dress, cool boots and most of all, great smile!